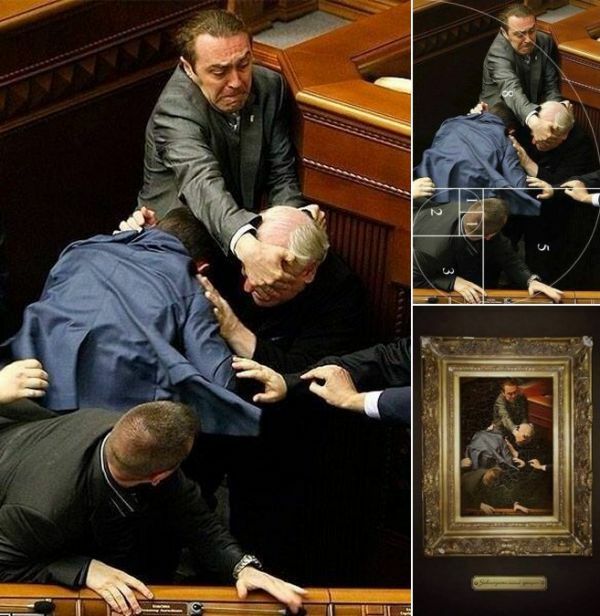 After a recent wave of images that look like the renaissance went viral, I’m wondering if it is actually art, or we’re just framing that way. 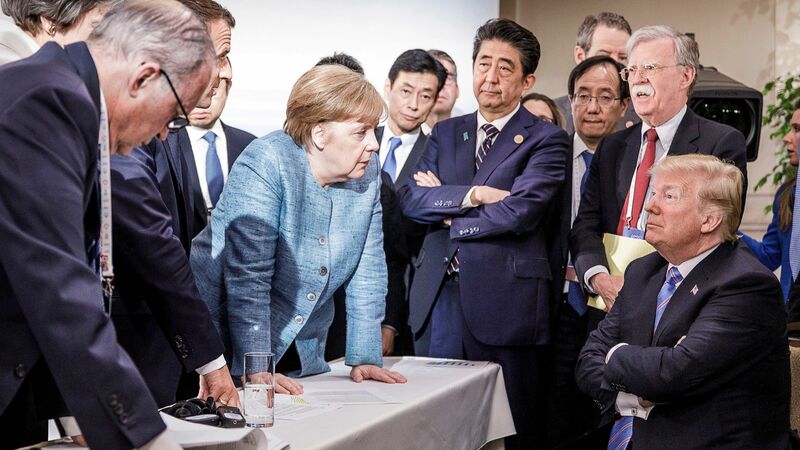 Over the last few days, the whole world has been talking about the recent photograph of world leaders at the G7 summit. President Donald Trump is seated, arms crossed, a look of dissatisfaction – or perhaps disdain – on his face. German Chancellor Angela Merkel is standing, her arms resting on the table, staring at Trump. Is she exasperated? Angry? Resigned? We have no way of knowing what was going through her mind at the moment that picture was taken, but plenty of people have theorised using the medium of memes and invoking references to art. The memes are clever – anything from photoshopping a teddybear onto the president’s lap or showing him as a peevish infant with his cereal bowl tipped on his head, to making references to Russian president Vladimir Putin and trips to fast food outlets. But many others have likened this image to a Renaissance or maybe Baroque painting. 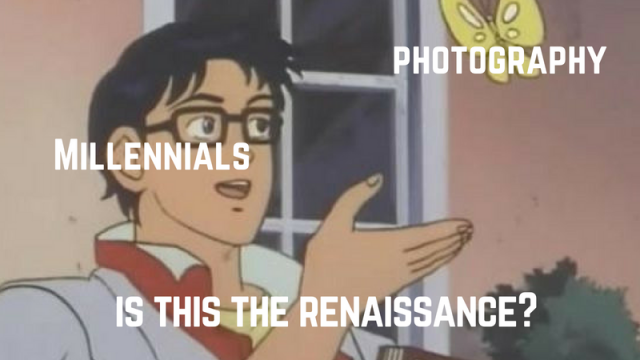 Okay, let’s clear up one thing first – what’s the difference between Renaissance art and Baroque art? You’re getting an extremely short answer because that’s all I’m qualified to give. Basically speaking, the Renaissance ran from roughly 1300-1600, the Baroque period was 1600-1750. The terms can mean either the historical period or the artistic style, but let’s look at the style for the moment. Sometimes it’s hard to tell the difference between the two styles because the subject matter is often similar – biblical scenes, stories from mythology, portraits of eminent people. Both use strong colours, use light and shadow to great effect, are often painted from interesting perspectives and there’s a preference for realistic portrayals. But very simply speaking, Renaissance paintings are perhaps a little more serene and ordered, while Baroque works have more freedom of movement, they’re more intense, more dramatic, more emotional. Renaissance artist Leonardo da Vinci’s The Last Supper (c. 1496) is a representation of the apostles dining with Jesus. Although there’s a lot going on, there’s a real sense of the subjects posing for the picture and even though Jesus is central to the work he’s also separate from everyone else. The painting has texture and depth, and a lovely use of light and shadow – look at the light coming through the windows at the back. It’s a beautiful work but perhaps a little static. 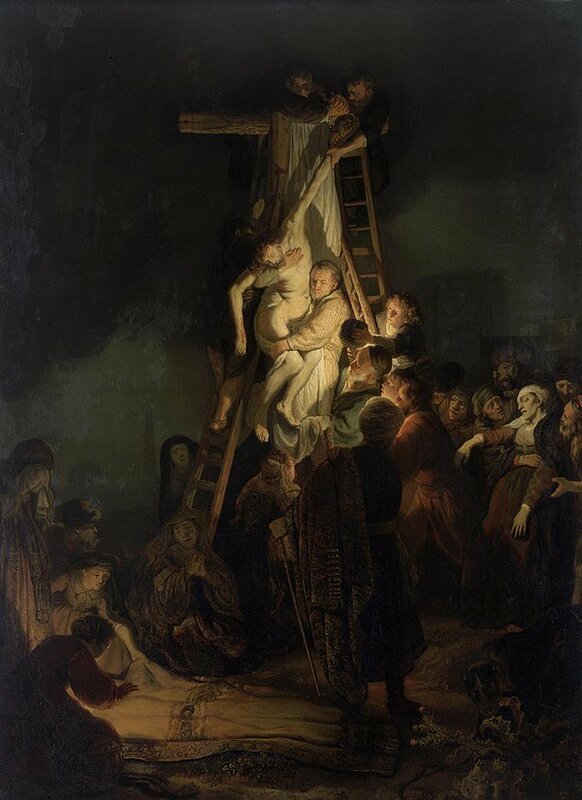 Now consider Baroque artist Rembrandt’s The Descent from the Cross (1634). The focus of the painting – Jesus being taken down from the cross – is smothered in light; the figures in shadow are shown utterly grief-stricken. There’s drama, intensity and a genuine emotion in this work. With this in mind, let’s take another look at the photograph of Trump and Merkel. The image shows the two main figures are at loggerheads. The body language in the room is palpable, deep emotions are evident. There seems to be an impasse, creating a real sense of high drama. Merkel’s light blue suit, in contrast to the dark suits worn by the men, draws the eye as does her authoritative stance, and there’s a pleasing play of light across her. There’s a sense of movement too: some people are looking at Merkel, some at other people, some are looking down or away or at the camera. It’s these things that have prompted people to liken the image to Baroque art. Like the G7 picture, other photographs have been given a Renaissance flavour or a Baroque interpretation. 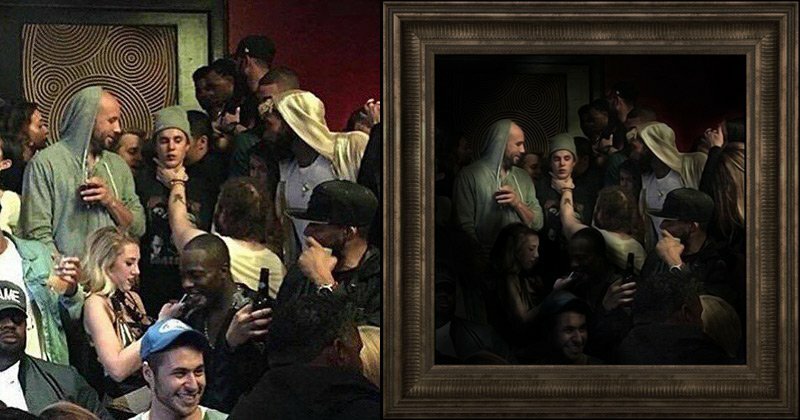 A 2016 picture of Justin Bieber being held by the throat at a nightclub was shown by art experts to have much in common with Renaissance art. The composition of the image, the dramatic focal point and the use of light and shadow inspired some clever photoshopping. 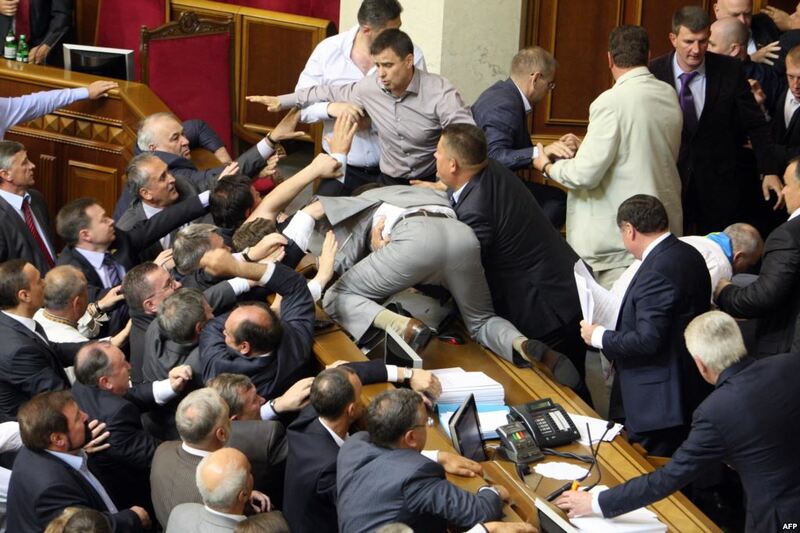 When a photograph of a fracas in the Ukrainian parliament was published a few years ago, art lovers almost immediately likened it to a Baroque painting. There’s such tension and intensity in the image; it’s dramatic and emotional. It also, like the Bieber image above and Leonardo’s Last Supper, is an example of the golden ratio or Fibonacci spiral, a formula that when applied to a painting, sculpture or piece of music, produces a work that has enormous appeal to our senses. There are loads of other examples of modern photographs that appear to resemble Renaissance or Baroque works of art. It should also be said that photography, including news photography, has proved to be an art form in itself. While news photographers don’t necessarily have the luxury to compose each picture, their artistic eyes are fine-tuned to movement, light, colour and so on which is why some of the images we’ve been discussing are likened to art. 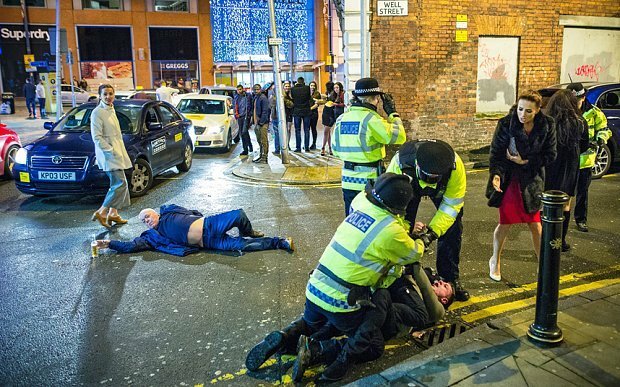 Look at this now famous photograph of New Year’s Eve in Manchester taken a couple of years ago. The focus is ostensibly the police subduing a reveller, but we’re drawn to the man lying on the road in a somewhat cavalier pose, looking as if the biggest concern in his life is saving his beer. 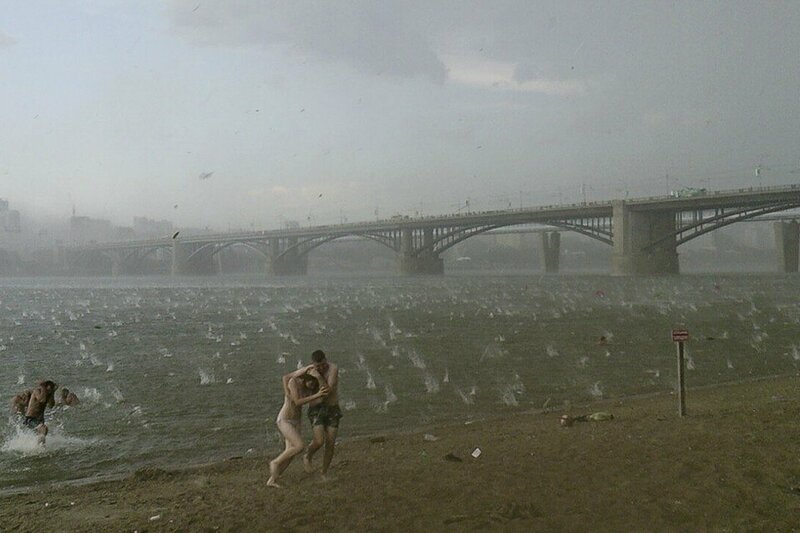 Who knows what was really going on, but the artistic photograph has captured an image that is quite beautiful in spite of the seedy situation. So why are we finding echoes of the past in 21st century photographs? Is it purely accidental? Has the photographer captured a moment in time that just happens to have randomly expressed the same compositional elements of great art? Are we searching for a speck of goodness in an evil world? Are we trying to make sense of the present by seeking the past? Do we go forward by going backwards? There are no definitive answers to these questions, but we can probably agree that art is powerful. The mere fact that images go viral, that others manipulate these images, superimposing them on works of the Old Masters or making watercolour versions of iconic photographs, that people go to enormous trouble to demonstrate the artistic merit in photographic images is evidence perhaps that we are constantly seeking beauty in an ugly world, that we are hopeful of the world being a better place. And if all else fails, humour helps. It’s times like this when social media acts as a balm to the savage beast.